Salmon can be found in both the Pacific and Atlantic oceans and in some inland lakes, including the Great Lakes. However, most are born in freshwater streams and rivers, but travel to saltwater to live most of their lives. Salmon return to freshwater for spawning, with about half of all species of salmon and all Pacific salmon dying within a few weeks of spawning. Salmon vary in length, depending on species, with the Chinook salmon reaching lengths of 5 feet. Salmon can weigh up to 110 pounds and have a lifespan of up to 8 years. 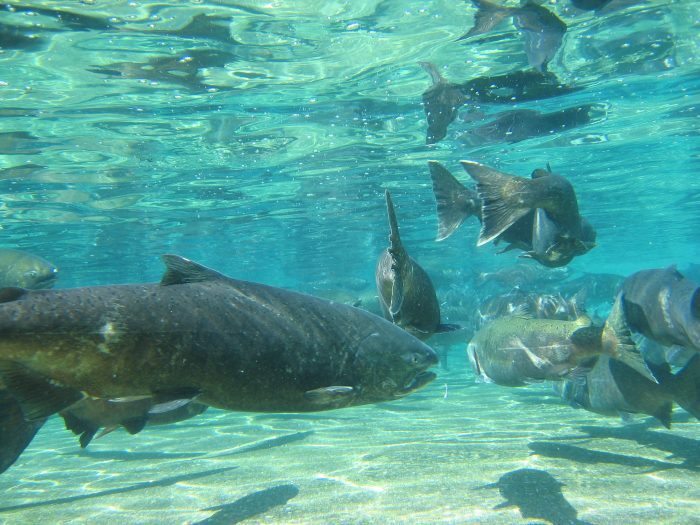 Notably, salmon populations in many places are on the decline, with populations in the Colorado River only at 3 percent of the levels they were when Meriwether Lewis and William Clark explored the area.